First envisioned as a strategy to protect habitat for overwintering birds under the North American Waterfowl Management Plan, the concept of "focus areas" has evolved into a powerful tool for broader, landscape-level conservation efforts in South Carolina. The magic of waterfowl: their wildness, their speed and agility, their long migrations, social interactions, haunting cries and beautiful plumage - all of these qualities have captured human imagination for eons. But just a few decades ago, the magic seemed doomed. As duck populations declined drastically, land managers and biologists realized that habitat conservation, both in breeding areas and wintering grounds, held the key to halting further losses. To address the problem, about twenty years ago a consortium made up of state wildlife agencies, the U.S. Fish and Wildlife Service, and interested non-governmental organizations came together to create the first North American Waterfowl Management Plan, which included the concept of focus areas - large land masses that incorporate waterfowl habitat. Conservationists and wildlife managers in South Carolina were deeply involved in the development of the plan from the very beginning. Only a few species of waterfowl - mostly wood ducks - nest in South Carolina, but more than twenty species winter in the state, especially in our coastal wetlands. The many coastal rivers and low topography produce extensive wetlands, both fresh and brackish, creating ideal winter waterfowl habitat. 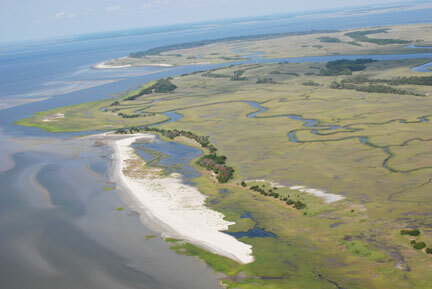 One of the nation's first and most successful focus areas, the ACE Basin project in the St. Helena Sound drainage in lower Colleton County, became such a success that S.C. Department of Natural Resources managers identified eleven additional focus areas, the boundaries of which now encompass 52 percent of this wetlands-dominated state. The early visionaries of the ACE Basin project knew that to ensure success they had to have the full cooperation of three often competing entities: government agencies (both state and federal), conservation organizations, and most importantly, private landowners. They put together the ACE Basin Task Force, a grass roots organization of individuals, all having the same agenda and mutual respect for one another. The late Gaylord Donnelley, a nationally recognized conservationist and owner of Ashepoo Plantation, quickly provided support, and by using conservation easements and making land donations, Donnelley protected thousands of acres. Conservation easements, usually held by private organizations such as Ducks Unlimited, The Nature Conservancy or one of several open land trusts, have become a key tool for land protection within the state's twelve focus areas. Easements have legal status and stay with the property even if it changes hands. Most such easements allow traditional uses like agriculture and timber harvesting, as well as recreational activities including hunting and fishing. While custom tailored to each property, easements generally restrict any large scale residential or commercial development, preserving the character of the land in perpetuity. When the late Hugh Lane Sr., another well-respected ACE Basin landowner, signed a conservation easement on his property, Willtown Bluff on the Edisto River, other major landowners soon fell in behind. Today, the ACE Basin project includes over 200,000 acres of protected land - mostly privately owned - consisting of wetlands and uplands between Charleston and Beaufort. Total acreage within the project boundaries is approximately 1.6 million. This effort set a great example of how focus areas could succeed in other areas of the state and across the country. "South Carolina remains close to last in many important areas, but we are first on the East Coast in land conservation," says Lane's son, Charles. "We have done the most with the least amount of money." Now South Carolina's other focus areas are striving to match the success of the nationally recognized ACE Basin, and with good results. Most of our state's focus areas include public lands owned by state or federal agencies, but the majority of protected properties in the focus areas remain in private ownership and will be maintained as they are in perpetuity through the use of conservation easements. South Carolina's numerous blackwater coastal plain rivers, along with larger rivers such as the Santee and Savannah that originate in the mountains or piedmont, all produce extensive wetlands at their convergence with the ocean. Rice planters more than two centuries ago converted many of these natural wetlands into rice fields. Although the rice culture ended in the late 1800s, the current owners of many of these properties have kept thousands of acres of rice fields intact and now manage them to produce native winter waterfowl food. These wetlands support not only wintering waterfowl, but also many species of wading birds, shorebirds on their annual migrations, and nesting ospreys and bald eagles. But the same features that make coastal wetlands so attractive for wildlife also make them attractive to the public, and thus lucrative to developers of residential communities, golf courses and resorts. While local economies may benefit from such development, wildlife invariably suffers loss of habitat. The use of focus areas to designate critical areas and limit development on large tracts of land within them has helped in the quest to balance economic development with protecting the rural landscape values that define our way of life. Many of the protected properties within the boundaries of our twelve focus areas are public lands - national wildlife refuges, national and state forests, DNR wildlife management areas, or Heritage Trust program preserves. 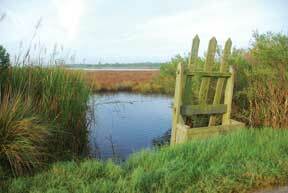 But, just as in the ACE Basin, the key to habitat protection success on a large scale lies with private ownership. 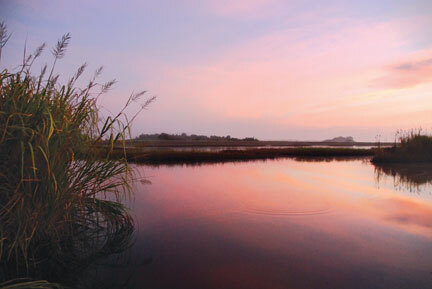 The CAWS Basin Focus Area encompasses a total area of approximately 815,000 acres bordering the Cooper, Ashley, Wando and Stono rivers in the South Carolina Lowcountry. It includes the Charleston metropolitan area, as well as major portions of Berkeley and Charleston counties and a small portion of Dorchester County. 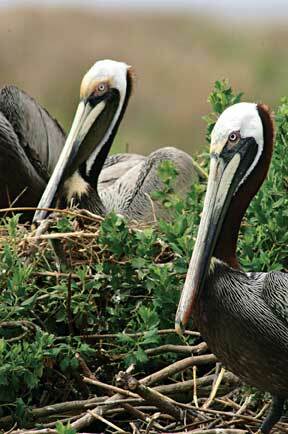 Large private plantations with important wetlands habitats exist along all three rivers and on coastal barrier islands. The CAWS Focus Area contains numerous well-preserved historical sites, as well as being home to the DNR's Bonneau Ferry WMA. The old rice fields along the Cooper River provide excellent waterfowl habitat, but many other birds and animals also benefit from protection of wetlands and uplands throughout the CAWS Focus Area. The Santee River Focus Area encompasses approximately 548,000 acres in the floodplain of the Santee River, stretching from the Santee Dam to the Atlantic Ocean, which includes 32 percent of the state's coastal marshes, as well as managed wetlands that support a large portion of the state's overwintering waterfowl. This key focus area includes such significant properties as Santee Coastal Reserve, Santee-Delta WMA and Cape Romain National Wildlife Refuge. The approximately 2.1 million total acres of the South Lowcountry Focus Area takes in all of Barnwell, Allendale and Jasper counties, as well as portions of Aiken, Hampton and Beaufort counties; all bordering the lower Savannah River. Large, unfragmented properties dominate this landscape, with private plantations ranging from hundreds to thousands of acres in size. In addition to providing excellent nesting habitat for wood ducks and wintering habitat for mallards and black ducks, the Savannah River corridor serves as a primary flight path for many neotropical migrants, such as warblers, tanagers, orioles, vireos, flycatchers, and both Mississippi and swallow-tailed kites. In just two years, the Lowcountry Open Land Trust was able to obtain easements on 60,000 acres within this focus area, most of it agricultural land and timberland in large tracts. The Santee Cooper Lakes Focus Area totals more than 863,000 acres and includes the South Carolina coastal plain's two main reservoirs, lakes Marion and Moultrie. Wildlife biologists have estimated that as many as 200,000 waterfowl, primarily mallards, once wintered on the lakes, but that number has declined significantly in the last four decades. However, the Santee National Wildlife Refuge and surrounding WMA properties and private lands provide important wintering habitat for birds still using this area. A significant portion of the land in this focus area is held by Santee-Cooper, the state-owned electrical cooperative. At approximately 107,000 total acres, all within Horry County, the Upper Waccamaw River Focus Area includes some of the state's best examples of Carolina bays, elliptical depressions unique to the coastal plain of South and North Carolina that are home to many unique and endangered plants, including carnivorous species such as Venus flytraps, pitcher plants and sundews. 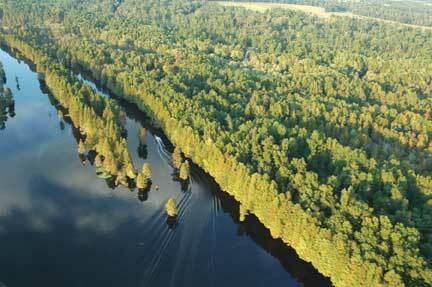 The floodplain of the Waccamaw River provides an important travel corridor for black bears. Much of this area comes under the ownership of forest industry companies, although the DNR owns two key tracts - the Waccamaw River and Lewis Ocean Bay heritage preserves. Encompassing more than 161,000 acres, the Little Pee Dee-Lumber Rivers Focus Area includes portions of Marion, Dillon and Florence counties, much of it in blackwater river floodplain that supports a wide diversity of hardwoods and several rare plant species. The state designated a portion of the Little Pee Dee as a State Scenic River in 1990, and the focus area also includes the Little Pee Dee and Cartwheel Bay heritage preserves. The Great Pee Dee-Lynches Rivers Focus Area covers approximately 628,000 acres and takes in portions of Chesterfield, Darlington, Dillon, Florence, Lee, Marion, Marlboro and Sumter counties. Important wetland habitats, such as oxbow lakes and beaver ponds, occur in the South Carolina floodplain forests of the Great Pee Dee, which originates in North Carolina (as the Yadkin River) near the Tennessee-Virginia border. Forestry industry interests own much of the land in this huge area. State-managed lands include the DNR's Great Pee Dee Heritage Preserve, as well as Marsh Heritage Preserve and WMA, and Pee Dee Station Site WMA. The Sandhills National Wildlife Refuge, where 190 species of birds - including the endangered red-cockaded woodpecker - live or migrate through, is located immediately adjacent to the focus area. The Upper Savannah River Focus Area includes more than 1.4 million acres of land within its borders, all adjacent to the upper Savannah River - an area of mountains and piedmont with a number of man-made lakes and natural mountain streams. Many wood ducks nest in the area, and a great diversity of neotropical migrants either nest here or pass through each year. Extensive public protected lands in this focus area include WMAs, heritage preserves, state parks, land owned by Clemson University and national forest land. 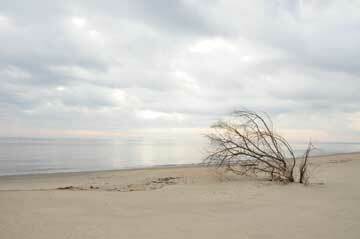 Private conservation easements also play a role. The Catawba River Basin Focus Area covers approximately 955,000 acres in York, Chester, Lancaster, Fairfield and Kershaw counties, bordering both sides of the Catawba River from the North Carolina border to the Wateree Dam. A large portion of the property in this focus area remains in private ownership, supporting wood ducks and migrant waterfowl in season, along with many species of songbirds. Development pressure from Charlotte, York and Rock Hill pose a threat to these natural habitats. Public lands within the boundaries of this focus area include Landsford Canal State Park, Lake Wateree State Recreational Area and Draper WMA. The Congaree-Wateree-Upper Santee Rivers (COWASEE Basin) Focus Area includes the floodplains and adjacent wetlands of these river systems - more than 314,000 acres worth. Despite habitat alterations over much of the area, significant amounts of old growth cypress-tupelo forest remain. Congaree National Park anchors the publicly owned properties, along with Manchester State Forest and the Santee National Wildlife Refuge. 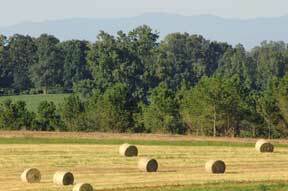 Timberland and agricultural land dominate the privately owned properties. Most species of North American puddle ducks, such as mallards, black ducks, ring-necked ducks, pintails, gadwalls and wigeon, winter in the area, although numbers have dropped significantly over the past four decades. Because of the large amount of unfragmented bottomland forest acreage in the COWASEE Basin Focus Area, the property supports a higher number of bird species than do many similar habitats in the United States. Biologists in the Congaree Swamp have recorded winter bird densities above 800 per 100 acres, some of the highest densities in North America. "In our focus area we put a lot of effort into landowner education," says Billy Cate of the Congaree Land Trust. "Once we can get families, who for generations have owned large tracts of land, to understand the benefits of a conservation easement, we can get them on board. 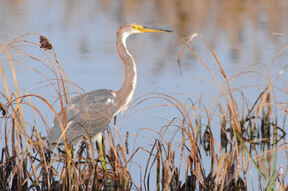 It is a very cost effective way to protect thousands of acres of valuable habitat." Cate has placed an easement on a 1,200-acre family farm where he grows timber and other crops along the Wateree River. "We didn't think about it at the time, but by establishing an easement, we eliminated family feuds in the future. Once I'm gone, my heirs can still sell the land, but they can't subdivide it," he adds. Tax credits and other funding available from the state can make the difference in convincing landowners who are considering the pros and cons of placing their property in a conservation easement. The South Carolina Conservation Bank, created by the General Assembly in 2002, receives funding from a percentage of property transfer fees, which is in turn used to provide funding for land protection through partnerships with land trusts and other organizations. However, a provision in state law requires that in any year when the legislature cuts funding across the board to all state agencies, the Conservation Bank receives no money. So for the last two years, the Conservation Bank has received no money to fund incentives for conservation easements. The Conservation Bank has played a critical role in securing easements on private properties, according to Charles Lane, the bank's first chairman. "Conservation easements provide a substantial income tax break for five years," says Lane. "Landowners with considerable income get this monetary benefit, but many people own large tracts but have little income, so the tax benefit does not help them as much." But the financial incentives provided by the Conservation Bank when funding is available help bridge that gap for landowners who don't stand to benefit as much from the income tax break. "The financial incentives from the Conservation Bank have helped preserve thousands of acres that we otherwise would not have gotten," adds Lane. In the upper northwest corner of South Carolina is a prime example of how the focus area concept for large-scale land protection has outgrown its roots in the North American Waterfowl Management Plan. Here, The Partnership for the Blue Ridge covers 400,000 acres along the Georgia and North Carolina borders, including those parts of Oconee, Pickens and Greenville counties north of S.C. Highway 11. This narrow slice of the state harbors 40 percent of South Carolina's rare plant species, including dutchman's pipe, American water-pennywort and painted trillium. On average, the area receives eighty to ninety inches of rain annually, the second most of any region in the country. 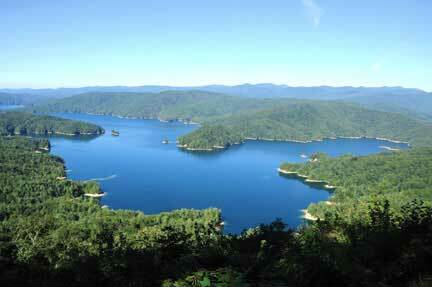 The area also contains the largest number or waterfalls in the eastern United States. While not a focus area under the North American Waterfowl Management Plan, the Partnership for the Blue Ridge serves a similar function, with the same goal of conserving key properties. The area includes twenty-six publicly protected properties, including the very popular Oconee and Table Rock state parks, ten DNR Heritage Preserves, two designated wilderness areas and parts of the Sumter National Forest. Private conservation easements protect many thousands more acres in this mountainous part of the state, a major tourism destination for residents and nonresidents alike. But just like the state's other focus areas, the Partnership for the Blue Ridge faces constant threats from development, as well as invasive species, fire suppression, feral hogs and conversion of forested lands to other uses. As on the coast, the rapidly expanding population of the Upstate and greater demand for land could eventually kill the goose that laid this golden egg. In all, South Carolina's permanently protected lands add up to more than 1.8 million acres, with more than 530,000 of that privately owned and covered by conservation easements. But much more needs doing. "Since most of South Carolina is privately owned, the future of conservation is greatly dependent on private landowners," says DNR Director John Frampton. "Our state's quality of life drives South Carolina's economic engine now and for the future. Without our abundant land-based and water-based recreational opportunities, we probably would never have landed major industries such as BMW and Boeing. Focus areas play a key role in conserving the natural resources that make South Carolina so attractive, both for tourists and residents." At Gaylord Donnelley's memorial service in 1992, Frampton, stressing the importance of private landowners in leading the conservation movement, said, "If not for Gaylord Donnelley, the ACE Basin Project would never have been initiated. Without his conviction we may have moved to protect the most threatened and productive marshes, but there would be no grand vision." And thanks to that vision shared by Donnelley and many others, what started simply as a plan to protect waterfowl habitat in coastal wetlands now has mushroomed across the state, benefiting countless species of plants and animals, and bringing new energy to our state's efforts at large-scale habitat conservation. 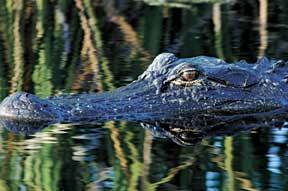 Pete Laurie has written for South Carolina Wildlife for 36 years and has published more than 170 feature stories for the magazine. He is co-author of the book, A Guide to Aquatic Habitats of South Carolina, published by the South Carolina Aquarium in 2003. He has a lifelong interest in natural history, especially birds, and tries in his writing to inspire that same interest in readers.